A new month appears, and like always we've prepared a great collection of new releases. Let's move on to our new releases. 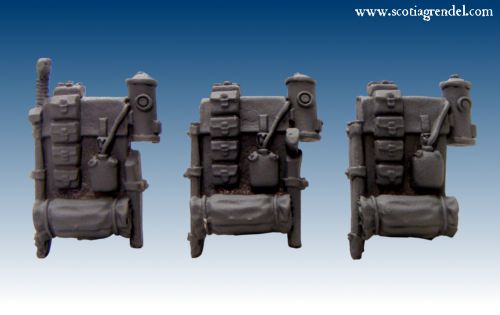 We will draw one of our subscribers who will win a FREE Converted Land Pilot model (Work by Elton Waters). This beautiful miniature can be yours - all you need to do is subscribe to our newsletter (if you haven't done this already) and wait until 30 November. That's all for this month, more nice stuff coming soon! 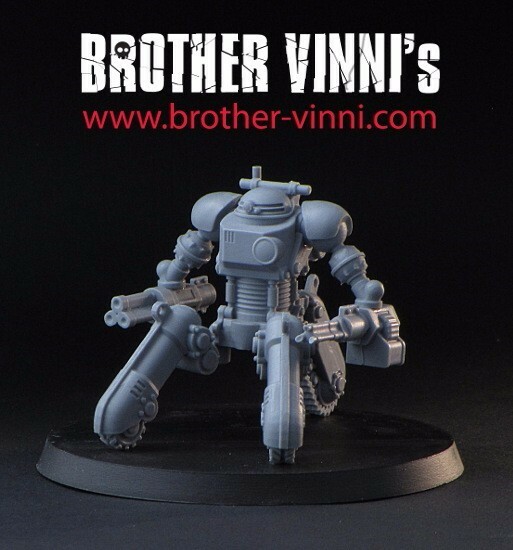 We are happy to announce the launch of our new Kickstarter featuring 15mm/28mm Animal Mech Miniatures created by John Bear Ross ! 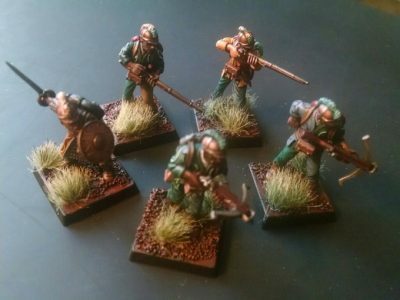 The Kickstarter for Shatterlands: Skirmish Warfare in the Banakur Forest has reached its initial funding goal. 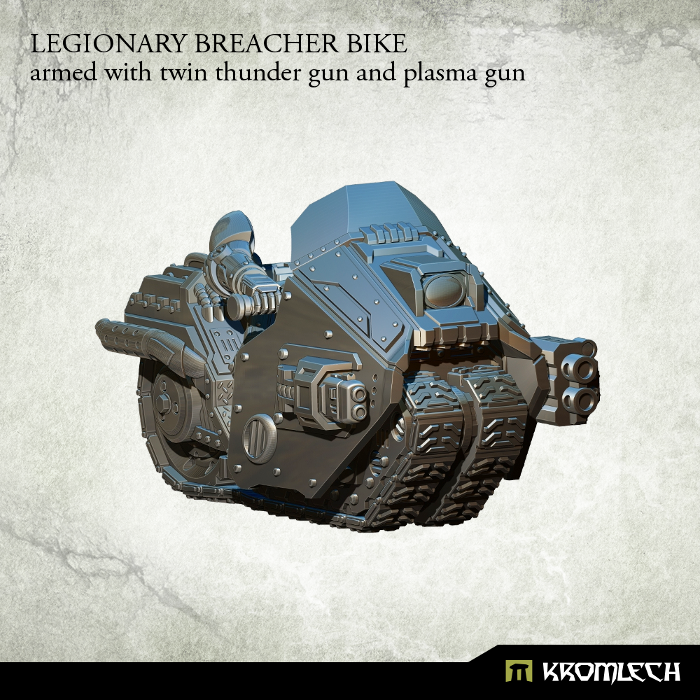 There is still time to pledge and a number of cool stretch goals to be unlocked. 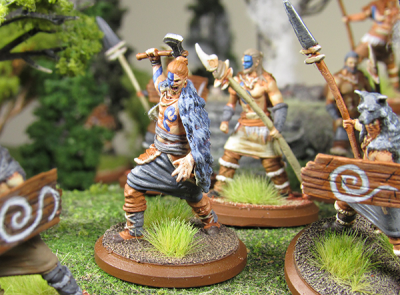 Shatterlands is a new miniatures game from Stonegate Forge, the makers of Picnic Panic, that combines the best elements of both black powder frontier skirmish games, and fantasy roleplaying. It offers the tactical problem-solving challenges of tabletop war-games and the character building aspects of RPGs. 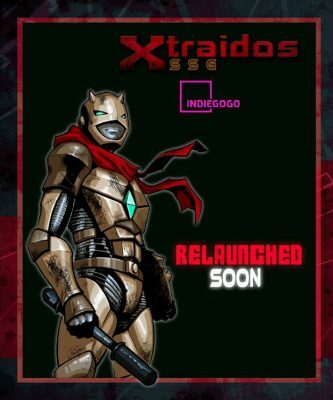 Xtraidos' crowdfunding will be relaunched soon with much more miniatures. Stay tuned! 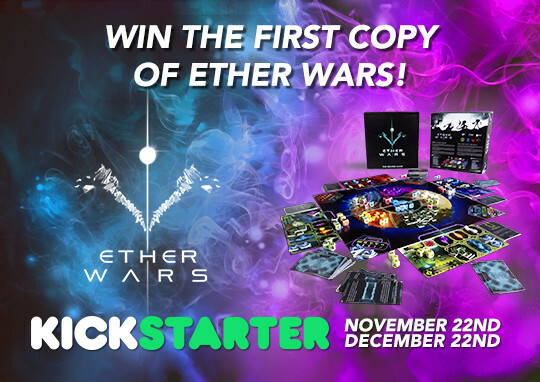 Ether Wars achieved a lot in its first Kickstarter campaign, but sadly it came short of its funding goal. We at Burning Games met the developers of the game in a trade event and immediately fell in love with it. So much, in fact, that we decided to help them relaunch it! 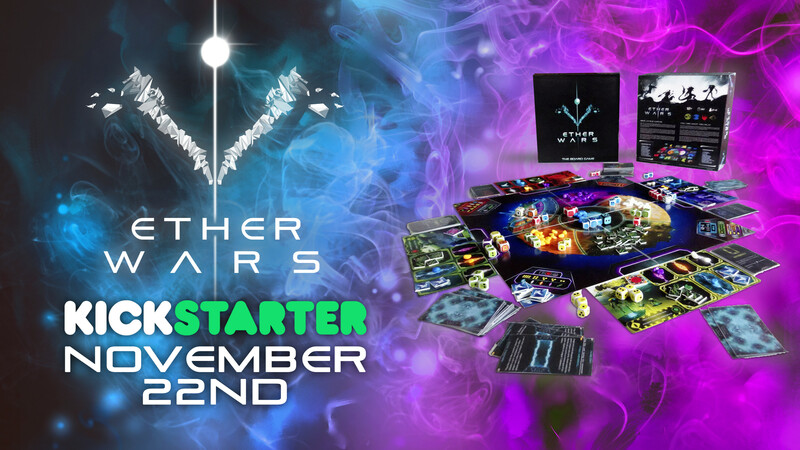 That's how Ether Wars will be coming back to Kickstarter this coming November 22nd. 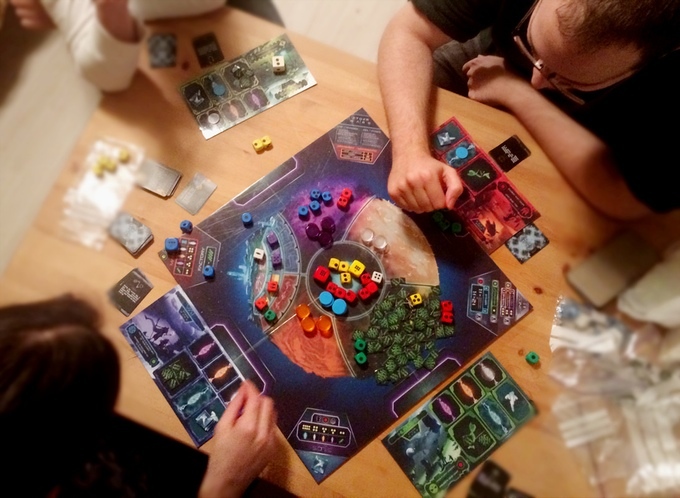 The game itself is a sci-fi take on worker placement and area control games. It features a very cool mechanic: all the troops are represented by dice. Players place them in the different areas and when battle befalls, they are resolved by throwing the custom dice. It's four species give way to asymmetric gameplay with lots of interaction and ample room for backstabbing. 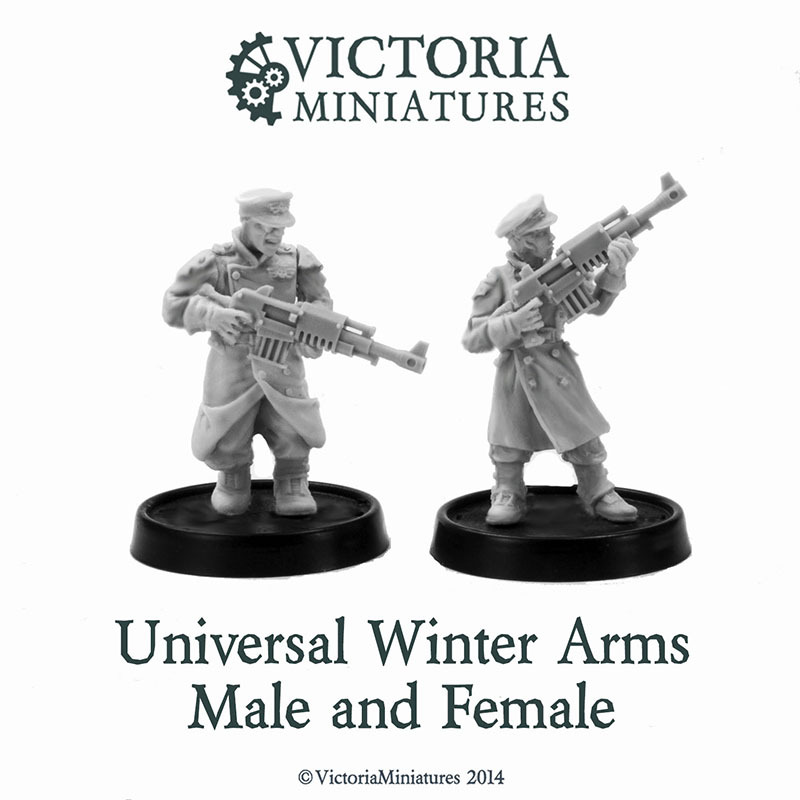 This week I am pleased to release Male and Female Universal Winter Rifle arms, these have shoulder plates and heavy gloves and are perfect for great coat troops. 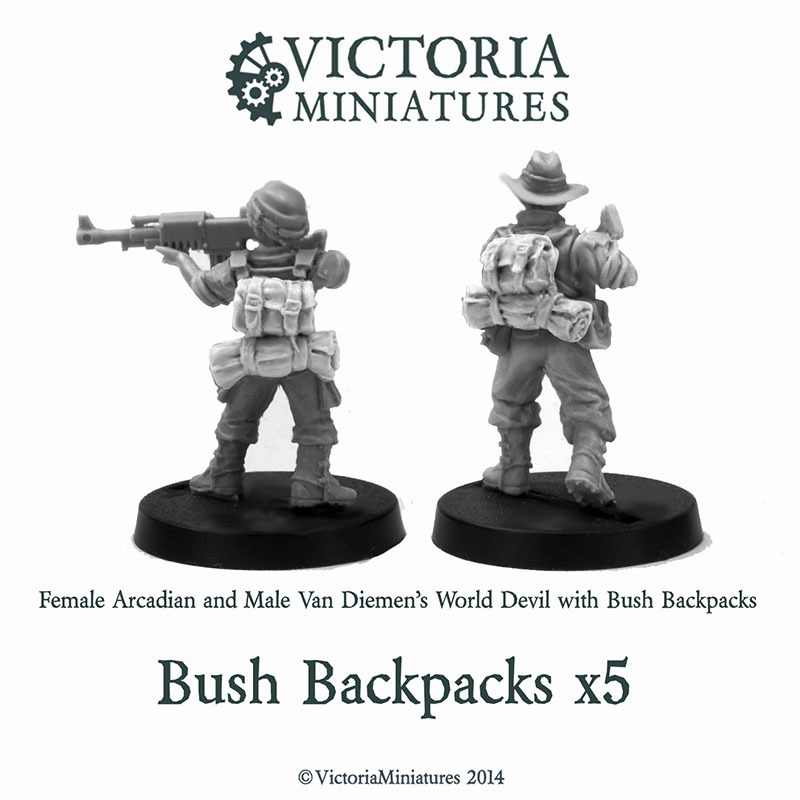 Also new Bush Backpacks, which can be added to any Male or Female troops. 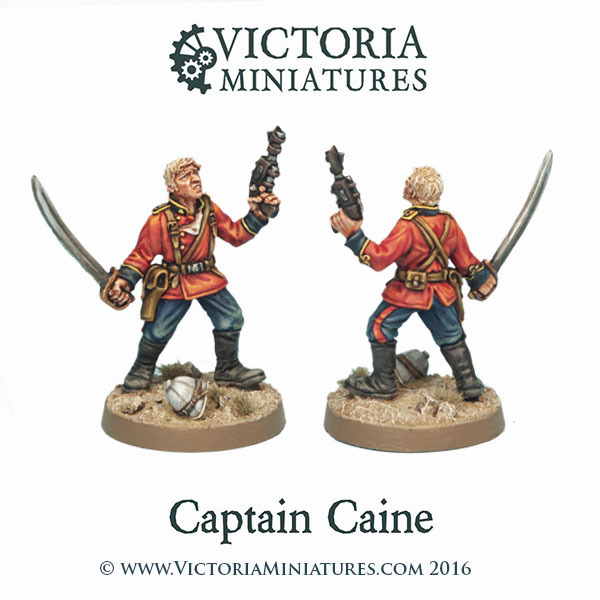 For commanders of Victorian Guard, our old favotite, Captain Caine is now available in resin. 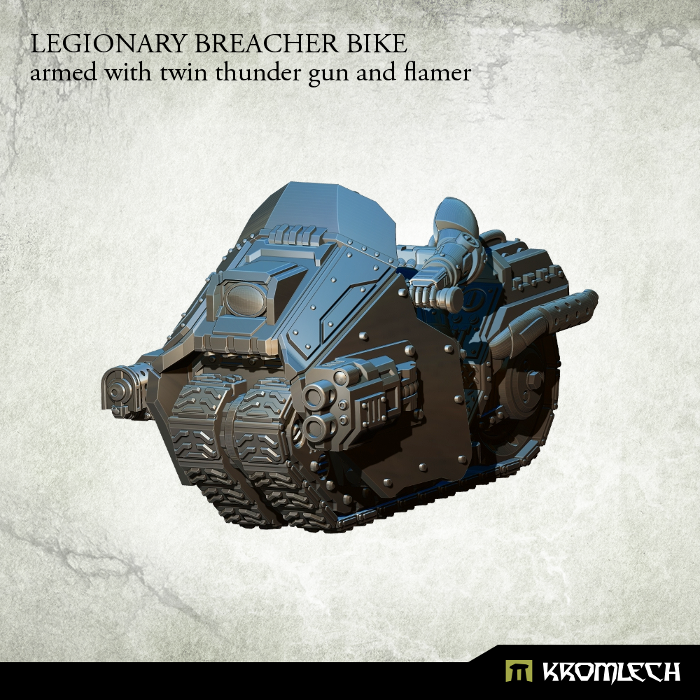 This replaces the metal version. 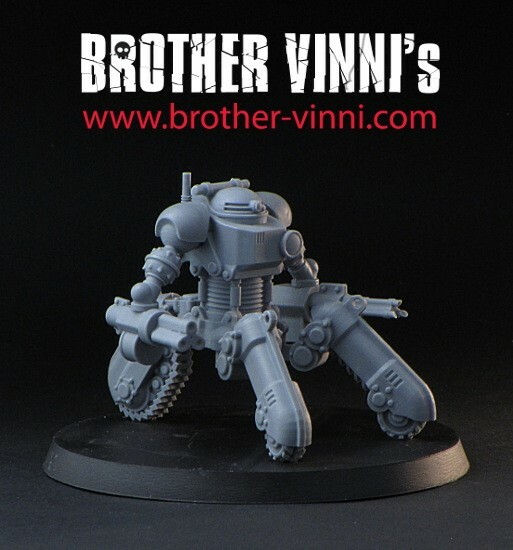 If you want metal, I still have 12 metal Caine's left. 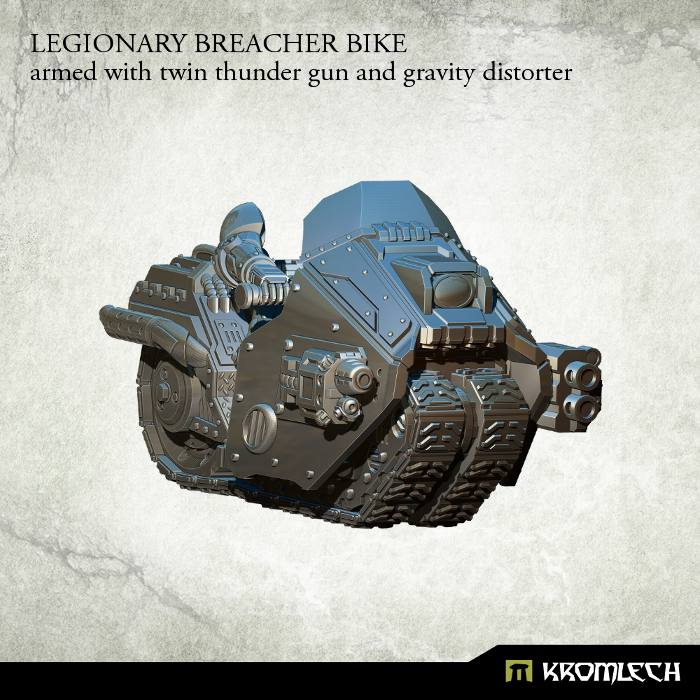 A Bugler conversion kit also hits the store this week. 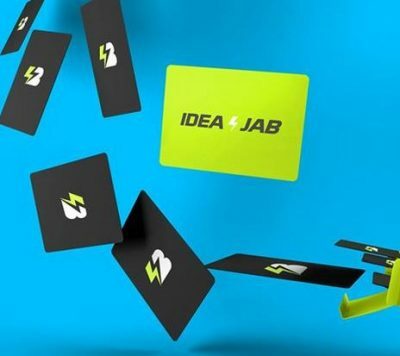 Idea Jab Card Game Coming To Kickstarter "Pretty Soonish"
The kit is available singly or in a platoon of four at a reduced price. Available now. 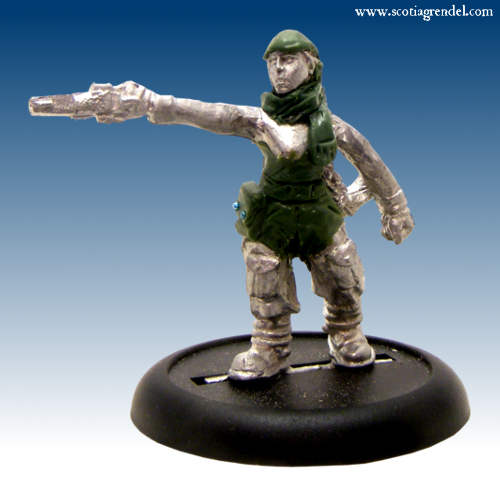 - For backers of the NCO pledge, there will be a sergeant in addition. 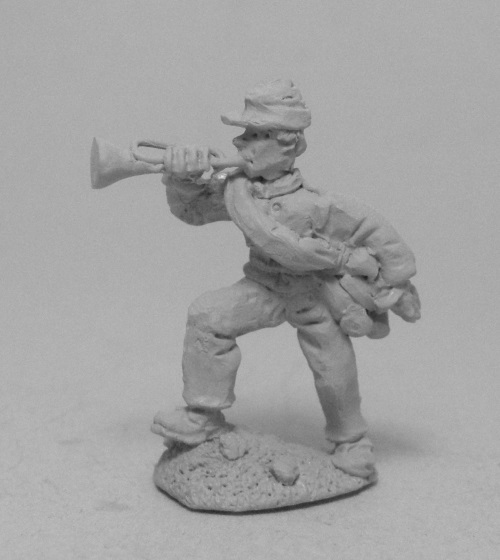 - For Junior Officer backers an infantry drummer and an infantry standard bearer and. 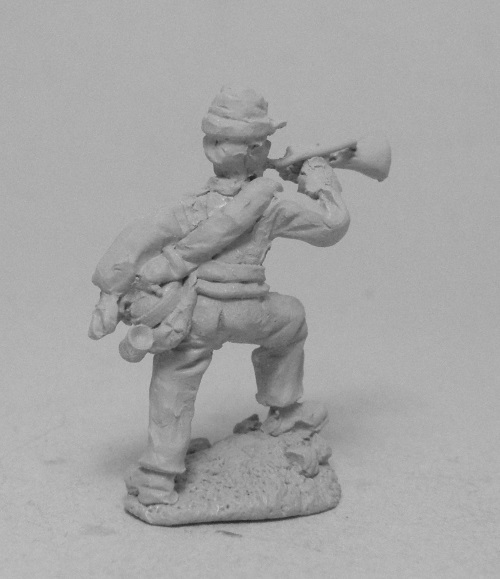 - For Senior Officer backers a cavalry trumpet and a cavalry standard bearer. 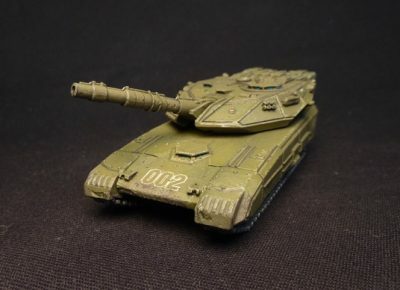 And there will be more to come soon, for those who think they might like to join our little Comrades in Battle group even if they are a little late in the day, we are cooking up some tasty incentives. And for those already sitting round our campfire - you will benefit too! So use your Facebook pages, Tweet the message and trumpet the news to your friends. Yeeehah!" Geek Chic, designers and fabricators of heirloom quality furniture for geeks, are releasing a new gaming table design—The Vanguard. 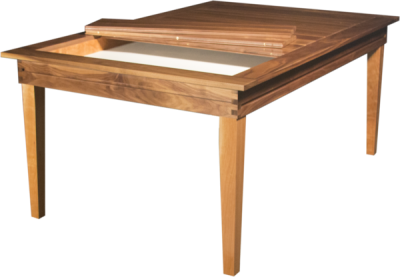 The Vanguard features a unique floating top, box jointed corners, 5 wood types and 3 dual-wood options, and comes standard with all the multi-functional features Geek Chic tables are known for. For the first time, there are two ways to order the new design: customers can place a deposit for a traditional Made-To-Order Vanguard, or they can order a Ready-Made Standard Vanguard that ships right to their door! Chronicles is an Online Community Role Playing Game (OCRPG) where players of the game (and non-players, alike) can take part in the living, evolving story of Indagar. 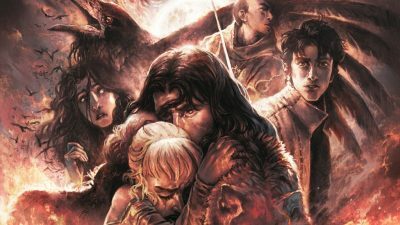 The story is broken down into Seasons, which center around pivotal conflicts in the post-Cataclysm world. Each Season, elected players will make important decisions for their faction, and those decisions will have real impact on both the story of Indagar, as well as the way our tabletop game is played. 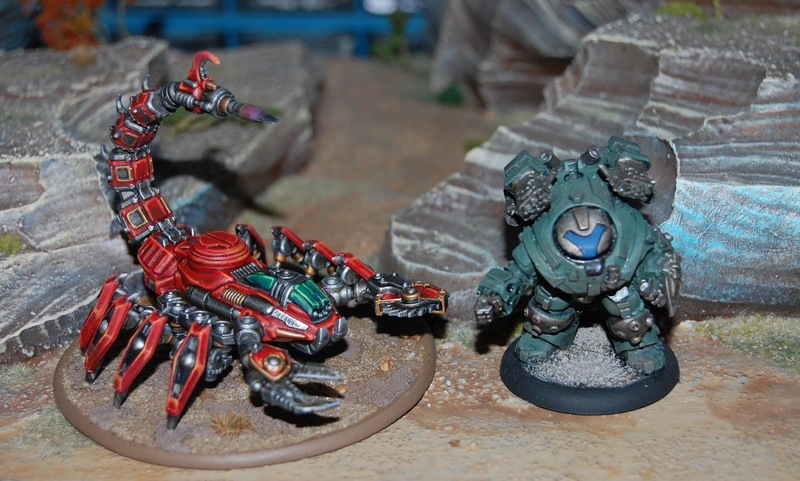 The tabletop miniature game features its own line of beautiful, single-part miniatures in 32mm scale, custom d10s, and a unique Dynamic Unit Formation system that allows each model in your faction to operate independently until challenged in a fight. The game scales smoothly and is easy to learn, but difficult to master. With Chronicles, we will to engage players both on AND off the tabletop and a thriving gaming community. Players looking for a challenge outside the standalone tabletop game can immerse themselves in the world of Chronicles: create an account, level up that account, earn badges through game play, artwork, fan fiction, and political gains, and then parlay those rewards into new and exciting game play options. The OCRPG is built on a mobile-first web application, giving players of all types an opportunity to stay involved and interested from the tabletop, to the train to work, to the dinner table when the spouse isn’t looking. Shh, don’t tell them! The game is currently looking for closed beta testers with an early access rewards program, and we anticipate a launch in Q1 2017.
and now we are happy to represent you Tricycle Robot! Our Kickstarter dedicated to Dearg, Shadows of Esteren’s official campaign book, ends this Thursday, November 17th. We wish to thank every one of you for your support: since the 2012 Kickstarter for the release of Shadows of Esteren’s core book, the current campaign has been been the most successful! Thanks to your gathered support, many projects that we had in mind for some time have been made possible: our fourth music album Adeliane, the first official Shadows of Esteren dice set (made by Q-Workshop), a beautiful partnership with Syrinscape including a 2-month free access for all our backers, the first Shadows of Esteren graphic novel, etc. 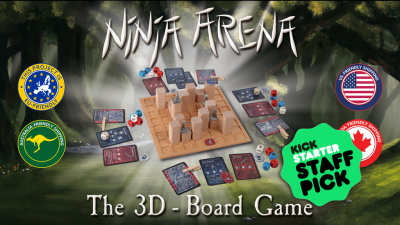 Ninja Arena is a tactical and highly competitive 3D board game featuring real tin ninjas! Each player is leading their ninja through a wooden arena board to fight other players for supreme victory. The gameplay focuses on predictive planning, tactical consideration and keen combat strategies. Ninja Arena is a sustainable project focusing on a nature-bound concept of creating board games. As a result Ninja Arena is 100% free of plastic and comes with a lot of handcrafted material. This conviction makes our games an high-quality, everlasting entertainment for our fans and friends. Play in teams, free-for-all or direct duels with different objectives and game modes - choose your favorite way. To get smoothly into the strategic depth of Ninja Arena, the rulebook is split in three sections from beginner's, to advanced and professional rules. This way it takes less than 10 minutes to get you started. 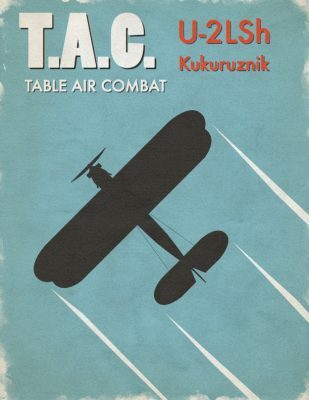 The Polikarpov U-2 (also Po-2) "Kukuruznik", was a small biplane used for crop dusting. It was also used as a light attack aircraft out of desperation. One of the most famous users were the members of the all-female Night Bomber Regiment 588, named Nachthexen by the German troops, because they used to cut engine once near the target and reach it by silently gliding. 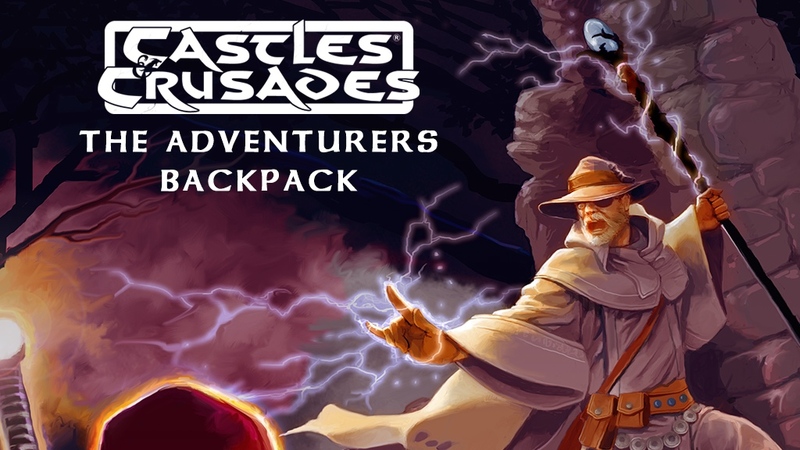 The Castles & Crusades Adventurers Backpack represents the largest expansion of the Castles & Crusades RPG since its inception with what is essentially a second Players Handbook and a deck of Equipment Cards. The Castle Keepers Guide delivered a voluminous amount of gaming material to the CK. The Codex of Aihrde and Players Guide to Aihrde brought the world of Aihrde to life in amazing detail for all players. But now The Adventurers Backpack is presented to the player with content to match -- if not exceed -- that of the original Players Handbook. New classes include: archer, avatar, oathsworn, magic user, thief, urban ranger, primal druid, milesian bard and more! New spells, for all classes whether in the ABP or the PH, based on an old twist. Equipment revisited. Other notes and observations all designed, we hope, to speed up your game. With the main game book come the Equipment Cards, all designed to speed things up and make game play all that easier. MAGE Company is proud to announce partnering with Twisted Brothers Studio for the development of its games. 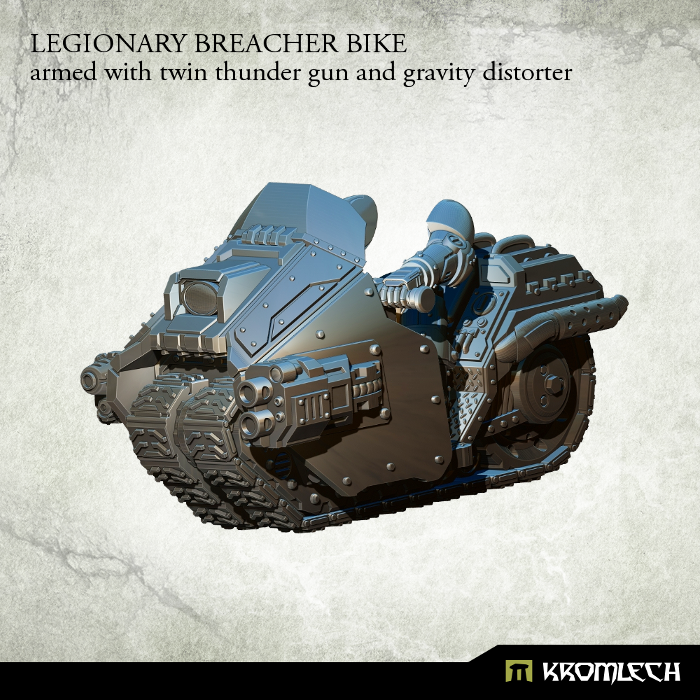 "MAGE Company is thrilled to partner with Twisted Brothers, and aims to have a fresh air brought to its game development", mentioned Alexander Argyropoulos, General Manager of MAGE Company. 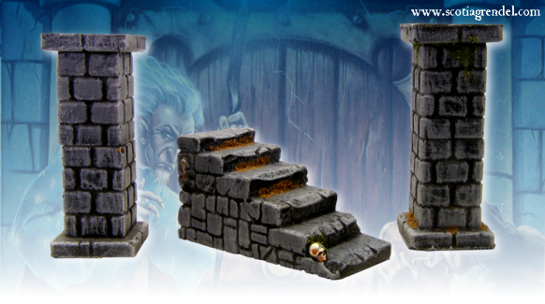 "Twisted Brothers Studio is really happy to announce it has joined the MAGE Company Family. We are a game developing studio with real passion and love for the boardgame industry. We have been gamers for many years, long before we ever thought we would work on this industry. 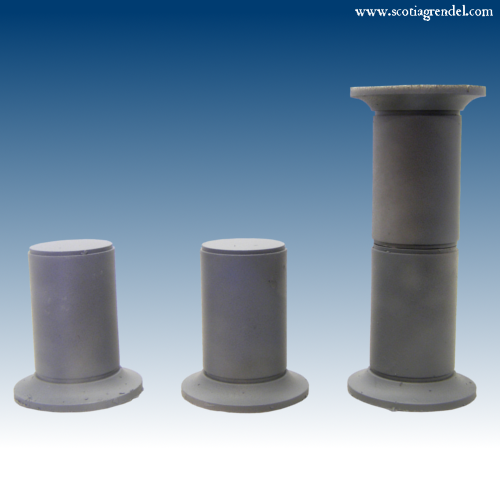 We are proud and really excited to work for MAGE Company and promise to raise even higher the high quality standards that they have set in the past. ", Twisted Brothers noted. 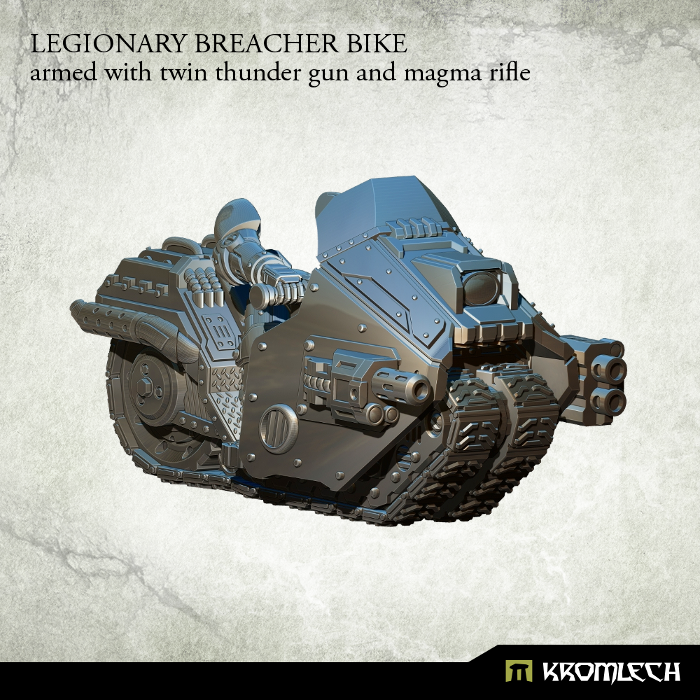 today we have for you the final set of four new Breacher Bikes. 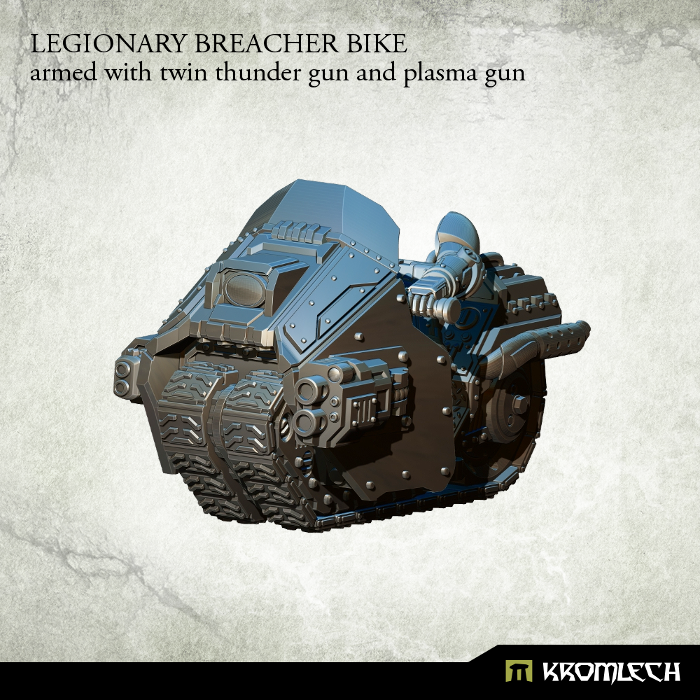 All of them are armed with a twin thunder gun and a special weapon. That way a raider does not has to carry a gun while driving. 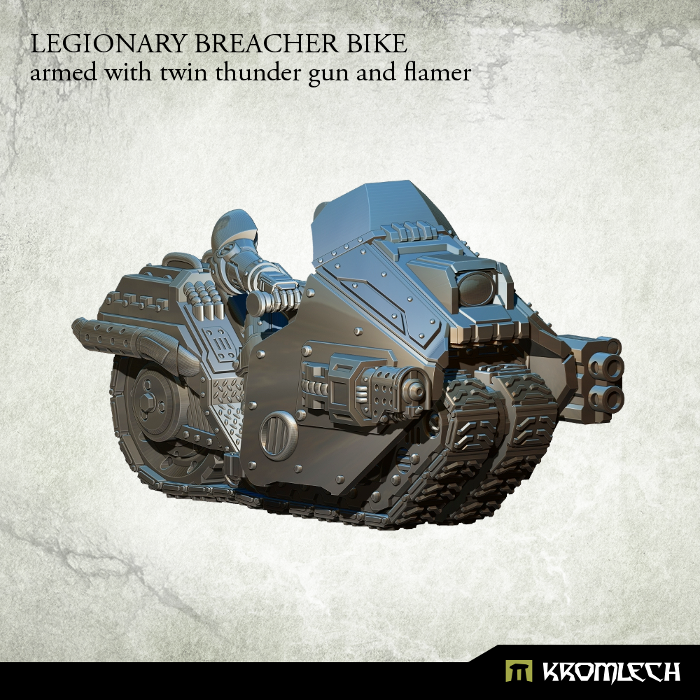 All weapons are integrated into the motorbike chassis.